Mid-century modern lighting design by DelightFULL. : Coltrane suspension lamp and wall sconces.. Giant lighting fixture that transforms the space by itself. Outstanding light installation composed of many tiny pendant lamps. Golden Pendant Lamps in a luxury jewellery. Lasvit Pendant Lamps in tones of gold and copper give the space an elegant touch. What a great idea for a hotel lobby. A good lighting choice can make all the difference in a hospitality project. Excellent Lighting Project with several suspension lamps..
Nanchang Insun International Cinema by One Plus Partnership Limited Rozzi’s Italian Canteen in Melbourne by Mim Design reflects the heart and soul of Italian style food, showcased in a friendly, home-style kitchen. Several pendant lamps in different colors and shapes. Duke suspension lamp is a 70â&#x20AC;&#x2122;s groovy suspension fixture ideal to suit in a contemporary living room. Six lampshades in aluminum will attribute a sober touch to your home lighting. We are used to see pendant lamps above a counter top, by this time we were surprised with some midcentury modern table lamps. Extravagant golden lighting installation in the dining area. Giant lighting installation in shape of a flower in the hotel reception. A colorful hotel design where were made excellent choices regarding furnititure and lighting. A tripod floor lamp was placed beside the sofa. Ritz Carlton Wolfsburg by Elliot Barnes. There are some hotel interior designs that can be described as a masterpiece and this is exactly the case of Ritz Carlton Wolfsburg. Suspension Lighting design by DelightFULL. Lots of colors and different textures. The suspension fixture and wall lamps are some of the several amazing DelightFULLâ&#x20AC;&#x2122;s designs. MMZ Project Architectural Bureau specified BRABBUâ&#x20AC;&#x2122;s lighting pieces for ERWIN Restaurant and Bar project in Moscow, Russia. Every aspect of the project was considered regarding contrasts, thus not only the colors but as well as materials and fabrics contrast with each other. Orange mid-century modern wall sconces. Located in the most advantageous setting in the city of Thessaloniki, Greece, under the famous arcade of Aristotelous Square, O13 - Ocean thirteen is the newly completed cafe bar by Greek interior-architect Minas Kosmidis. Botti XL chandeliers from DelightFULL featured in a Hotel entrance. Mark Zeff Riffs on Austinâ&#x20AC;&#x2122;s Musical Heritage at the Hotel Van Zandt. Photography by Eric Laignel. The all black look chosen by the designers results very well with the lighting bulbs they also chose. 5 lighting fixtures above the reception area. This project combines contemporary design with Old Town industrial heritage. The use of simple pendant lamps results very well. This contemporary restaurant in tones of black and golden features the incredible Atomic ceiling light designed by DelightFULL. 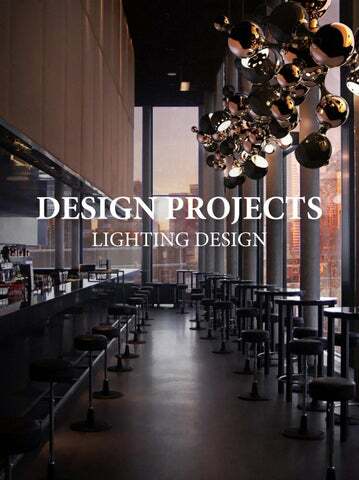 Find more inspiring lighting designs and solutions for your hospitality projects at Unique Blog. An elegant color pallet of light browns and beiges is the perfect ambience for a giant crystal chandelier. Tones of golden for a luxury lobby..
Golden wall sconces from DelightFULL and white furniture. For this Hotel Project, different kind of golden lamps were chosen to give the space a light and cozy ambiance. It features an excellent industrial wall lighting installation. 44th Hill was designed by Alula Leisure Group. Dozen of small bulbs were hanged in the ceiling, creating the most incredible effect. Chefs Club New York by Food & Wine, Photograph by Emily Andrews This restaurant was built in an old church and the giant suspension lamps are incredible. White suspension lamps hanged in different levels. Sandibe Safari Lodge, Botswana by Michaelis Boyd Associates with a golden touch given by the lighting. Who said that the lighting choices for hospitality projects are all about suspension lamps? A couple of mid-century modern wall sconces will transform a hotel room.. The black and gold color scheme of the Fitzwilliam Hotel in Belfast makes a powerful statement. Clean-lined seating and striking pillows also add elegant flair to the space, together with the floor lamp placed between the armchairs. This music-inspired colorful mid-century modern hotel couldnâ&#x20AC;&#x2122;t feature a better floor lamp that Botti by DelightFULL. Nandoâ&#x20AC;&#x2122;s is a chain of restaurants that began in South Africa in 1987 whose specialty is Portuguese-style chicken. The decor is fantastic. Giant lighting fixtures in a celestial blue. A mid-century modern interior design project with a unique lighting design piece. Giant golden lighting fixtures might be an excellent choice for an Hotel Lobby. The lighting fixture is absolutely stunning. Circular pendant lights and incredible sofas. Table lamps in bar a counter top. Mystical touches from the Dutch designer Marcel Wanders at Quasar Istanbul. There are so many things we could say about this restaurant and bar design, but letâ&#x20AC;&#x2122;s just make a small reference to the simple lighting choice that transforms the entire room. Outstanding lighting instalation, created by Lasvit. Curved Walls and Misterious Lighting Design. Sofitel Dubai Downtown, Duabi, UAE The lighting installation is a Lasvitâ&#x20AC;&#x2122;s creation and the color is amazing. A luxurious and elegant serenity blue. Designed by Wilson Associates, the Hotel have this amazing crystal lighting installation in tones of gold and white. The small black and golden pendant lamps designed by DelightFULL result very well in the space. Clark ceiling fixture from DelightFULL at a Mark Zeff Riffsâ&#x20AC;&#x2122; project at the Hotel Van Zandt. In the lounge, a brass chandelier hangs from the ceiling: is Clark from DelightFULL. Hotel Allegro, a project by GREC Architects, Chicago, IL, USA. The lighting design is unique. A mix between ceiling lamps and pendant lamps with a romantic style. A former bank in Singapore has been transformed into this restaurant and bar by Takenouchi Webb Studio, inspired by the buildingâ&#x20AC;&#x2122;s history and the glamorous aura of Art Deco. The St. Regis Shenzhe Hotel Entrance by St. Regis Hotels and Resorts Each room in the hotel, which was designed by Vincent Darré, is inspired by a different creative person. The restaurant is incredible, taking advantage of unique furniture and a one of a kind lighting fixture. It’s never too much to say that a giant outstanding piece of lighting can make a room pretier by itself. Exclusive Hotel Suite by Boca do Lobo. An exceptional project at Hotel Infante Sagres. Exclusive painted tiles and custom pieces. lighting by DelightFULL. Green contemporary counterstools are the perfect option to pair with black and copper ceiling lights. Ike suspension Fixture by DelightFULL. The orange and blue combination results into the most incredible midcentury modern hospitality project. The golden and black chandelier featured in the project is Ike suspension lamp by DelightFULL. Ike black and golden pendant lamp by DelightFULL. A bold lighting piece is capable of transform the entire rom. A simple room can be transformed into an incredible interior design project. It was like this in this case. Amazing circular suspension lamp and modern curved floor lamp. This cozy and elegant ambiance was created for Blythswood Hotel. 5 giant ceiling fixtures work as a focal point, giving to the space the grandiosity you see. Modern restaurant design at Hotel Hilton Zhongshan with multiple simple but strong lighting spots. Number sixteen hotel london with colorful furniture solutions and simple pendant lamps in a living area. Incredible lighting design around te bar.. Instead of creating a typical dark nightclub for Club Le Roy in Helsinki, Joanna Laajisto designed an interior that feels more like a “grand apartment”. Giant lighting fixtures give gradiosity to the space. Brubeck wall sconces by DelightFULL are perfect for a hotel dining area. The simple but at the same outstanding lamps that were chosen for this hotel reception are absolutely incredible. A Brabbucreation. Blue and green wall ighting fixtures. Restaurant Interior Design Situated on the 56th floor of the Montparnasse Tower, the Ciel de Paris restaurant makes an awe inspiring amber glowing statement on the Parisian skyline. Like a Barbarella set, it surrounds you like a bubble, encompassing the sleek 1960â&#x20AC;&#x2122;s space influenced aesthetic. No words neded. The outstanding furniture and the golden touches pair just perfectly. The wall sconces are the final touch. This vintage restaurant and bar has the most incredible decoration. The focal points are the Fiat 500 on the wall and the giant suspension fixture on the ceiling designed and conceived by DelightFULL. India Mahdavi and David Shrigley they both did a great work with this project. From the colors to furniture and lighting, everything is perfect. Simple table lamps that create a cozy ambinace. The white wall sconces were designed by DelightFULL Unique Lamps and seem like they were made to fit this ambiance with perfection. Multiple lighting cords hanging by the ceiling. Hotel lobby with several suspension lamps star shaped. What a wonderful place!! An industrial restaurant design using colorful metallic dining chairs and a giant one of a kind chandelier. Glamorous lounge area featuring Coltane Suspension Lamps by DelightFULL. Shugaa dessert bar in Bangkok features some copper statemente lighting pieces with pink fabrics in one of the colors of the year by Pantone: rose gold. Shugaa bar in Bangkok featuring incredible copper wall lamps. Lighting Options for Stores Striking in its elegance and Art Deco drama, with Michelin starred Chef Alan Yau at its helm, the food served at the principalityâ&#x20AC;&#x2122;s first gourmet Chinese restaurant is excellent and we love the pendant lamps above the bar. Find the perfect mid-century modern suspension lamp. Sintra by DelightFULL can be an option. 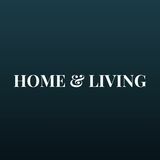 Blue Living is a luxury store in Berlin, Germany that sells design pieces from internationally renowned interior design brands. BRABBU was one of the brands chosen to be part of this project. The newest luxury hotel on the waterfront with an incredible ceiling fixture. The simplicity of the black and white interior is transformed by the copper chandeliers. Designed by 2B.GROUP, this space feature an incredible piece of lighting. Lobby seating area, Keraton at The Plaza, a Luxury Collection Hotel in Jakarta with an incredible floor lamp. This simple dining area wouldnâ&#x20AC;&#x2122;t be the same without the copper round suspension lamps from DelightFULL. This space combines contemporary design with Old Town industrial heritage. Three giant suspension lamps where placed above the table. Oriental style suspension lamps that give to the space a mystic look. Glass ceiling lighting, modern hotel lobby and modern hotel lighting .